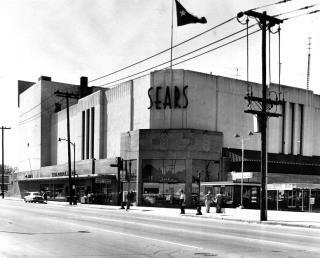 (Newser) – A $134 million debt payment due Monday was the final straw for the business Richard Warren Sears started in 1886. Sears, an American institution for many years, filed for Chapter 11 bankruptcy protection early Monday, CNN reports. The company, which also owns Kmart, says it plans to remain in business through the holiday season, keeping profitable stores open, along with online businesses, but it's not clear whether a viable company will be able to emerge from the bankruptcy process, reports the AP. The filing follow years of bad news for the company, which had been struggling with huge debts, falling sales, and major losses. Its share price has gone from a high of around $141 in early 2007 to less than 50 cents today.